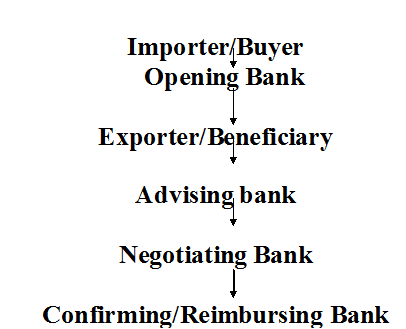 Foreign Exchange Business means-1) Import Business 2) Export Business 3) Foreign Remittance. As per Import & Export control Act, 1950 no person can indent, import or export any goods in to Bangladesh except incase of exemption issued by the government of the Peoples Republic of Bangladesh. 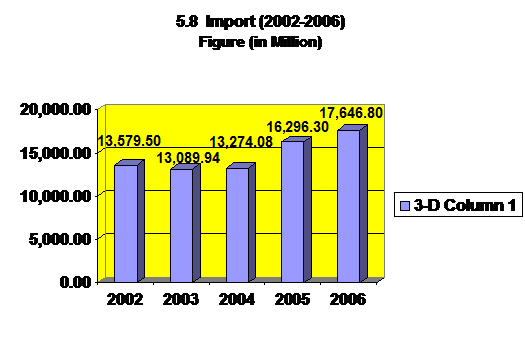 So for doing import business at first every importer should obtain Import Registration Certificate. Through public notice or import policy the chief controller of import and exports invites application usually for registration of importers. The following papers / documents are required for submission to CCI & E for Import Registration Certificate. Performa Invoice, which gives description of the goods including quantity, Unit price etc. Payment of Registration fees and renewal fees in a Treasury Chalan. Launching Credit Card Division: since NCCBL deals mostly with credit commerce related business, Credit card division would allow them to make a huge profit in near future. Emergence of competitors: Due to high customer demand, more and more financial institutions are being introduced in the country. There are already 52 banks of various types are operating in the country. Many banks are entering the market with new and lucrative products. The world economy is trying to recover from the trauma of the 9/11 Twin tower attack in 2001. In such situation economic condition of the country does not seem very bright and will take some time for recovery. Moreover with the opening of the branch of newly opened private bank and foreign banks, the competition will be intensified. The bank will go for immediate automation of all branches through computer network and a tight control of cost so as to minimize the overall operational cost. The bank will hope to achieve a satisfactory level of progress in all areas of its operation. The bank has become a member of SWIFT and is providing a fast and accurate communication network for financial transactions to their valued clients through uninterrupted connectivity with thousands of users institutions in 150 countries around the world. Money Gram is one of the innovative products of the bank. This has been functioning satisfactory and rendering prompt and efficient services to the wage earners. This branch is not in the online network. Lack of human resources and inadequate human resources are one of the major problems of that particular branch. There is no separate team for the marketing of the services who might inform the customer about their different services. They do not have extensive advertisement for their product or overall banking. Bank does not provide adequate interest for introducing innovative banking product or banking service. Interest rates of the various deposits are lower than the other bank. The bank has less than required employees therefore additional new human resources are required to improve the overall performance of that particular branch. Interest rate of some deposits should increase. Marketing policy: Marketing policy about services of the branch should improve for increasing its customer. Borrower’s Awareness: Measures should be taken for the NCCBL to create more awareness among the borrowers regarding the importance of credit facilities. Make investment small and cottage industry: The NCCBL can encourage investment in small and cottage industry in rural area. In this sector city bank can be play an important role in our country. On-line Banking: The NCCBL might take to go for on-line banking system. Among the private banks the NCCBL might take the step to introduce on-line banking to its client. Proper Training: More training program need to be arranged for the bankers of the NCCBL so that they can improve their analytical ability. Influence for agricultural investment: The NCCBL also need to encourage investment in agricultural sector to stay in competition with other private banks.